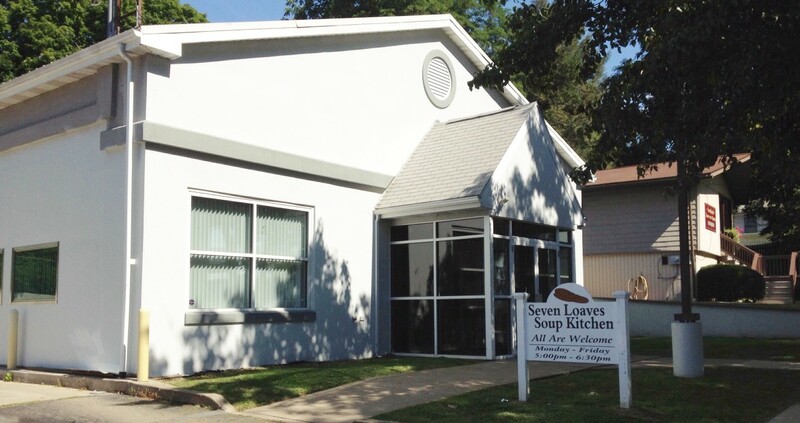 How does the Seven Loaves Soup Kitchen support its operations? Charity and volunteers keep the doors open. Gifts of dollars and food come from individuals, churches, civic organizations, school groups, foundations, and large and small businesses located in Wyoming and surrounding counties. Donated food makes up more than 40% of the contributions with Weis Markets and Wal-Mart contributing grocery items several days a week. Local farmers provide fresh fruits and vegetables that are greatly appreciated. Volunteers pick up donated bread, produce and other food products from local supermarkets daily. Dedicated volunteers are the lifeblood of the Seven Loaves Soup Kitchen. Since the beginning, 1,800 community minded individuals have given more than 105,000 hours of their precious time and energy serving guests. Some volunteers have been serving at the Seven Loaves Soup Kitchen since the doors opened in 2007. Several of the local churches, families, businesses and civic organizations bring groups of volunteers one day every month. Currently the annual operating budget is $100K and includes $40K in food donations.